3 Bedroom Semi Detached House For Sale in Manchester for Guide Price £160,000. 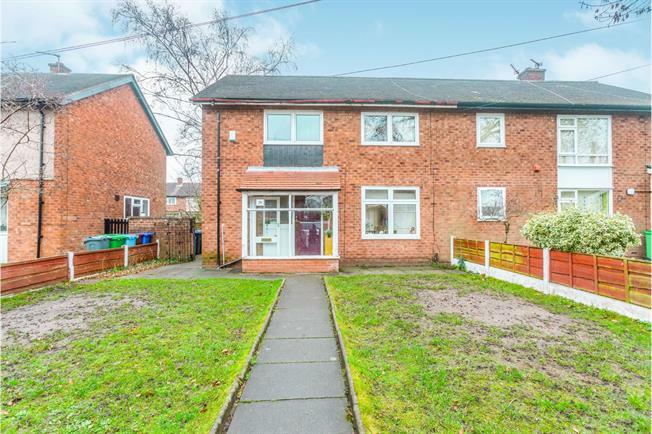 GUIDE PRICE 160,000 - 170,000A well presented three bedroom semi detached home ideally located within close proximity of motorway links and the metrolink. The property briefly comprises; entrance porch, entrance hall, lounge/diner, kitchen to the ground floor. Three bedrooms and family bathroom to the first floor. Externally the property benefits from both good sized front and rear gardens. UPVC sliding and patio double glazed door, opening onto the garden. Double glazed uPVC window facing the front. Radiator, laminate flooring, downlights and recessed lighting. Double glazed uPVC window facing the rear overlooking the garden. Radiator. Built-in and wall and base units, stainless steel sink and with mixer tap with drainer, integrated, gas oven, integrated, gas hob, over hob extractor, space for washing machine, dryer, fridge/freezer. Double glazed uPVC window with frosted glass facing the rear. Heated towel rail. Panelled bath with mixer tap, single enclosure shower, wall-mounted sink with mixer tap. Double glazed uPVC window with frosted glass facing the rear. Low level WC.